Are you looking for a simple way to entertain the kids during the holidays? Well, today our Creative preschool group has 5 great Christmas activities to do with the kids! Recently I shared the story of Rudolph the Red Nosed Reindeer with Chuck. 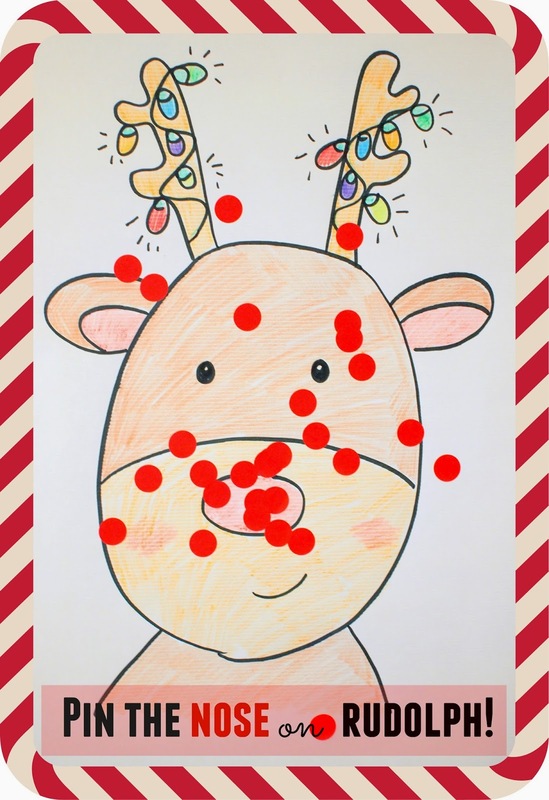 He seemed to like Rudolph a lot, so I whipped up this super easy Pin the Nose on Rudolph game from us to try out. Let's Pin on Rudolph's Nose! Then, I stuck the picture onto the wall. I told Chuck to close his eyes and gave him some circle stickers to stick onto Rudolph's nose. As you can see, we really enjoyed the game. (Chuck said that it looked like Rudolph had pimples. Oy!) My husband even got had fun and got involved too! Looking for other fun preschool Christmas activities? 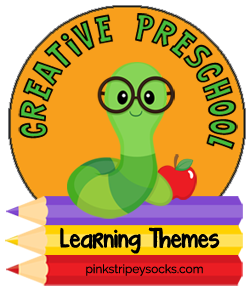 Check out these other ideas from the Creative Preschooler Team!